Space is cold, scientific fact. 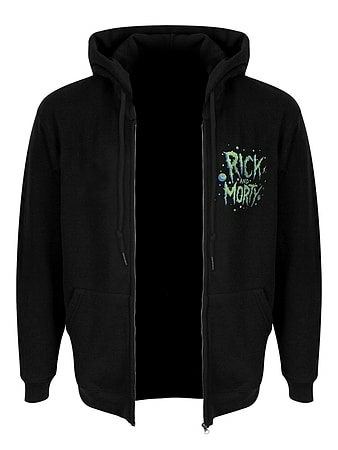 And when you're travelling to different universes across endless dimensions, you never know what the weather is going to be like - So it's always best to be prepared and wear a hoodie! 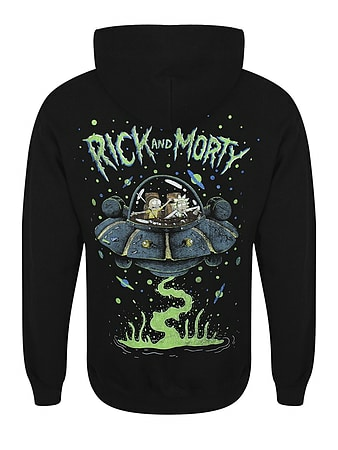 This black zip-up has the Rick and Morty logo on the front and an awesome spaceship cartoon on the back, featuring a very alarmed looking Morty and a wrecked looking Rick. Look your schwiftiest, always.